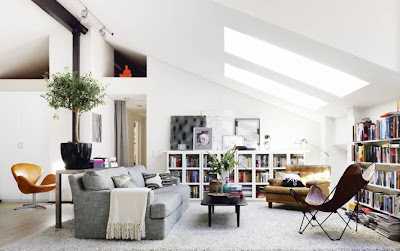 I've been looking at the Swedish magazine website, Skona Hem, for inspiring homes. Scandinavians know how to put together simple, stylish decor with a very modern sensibility. 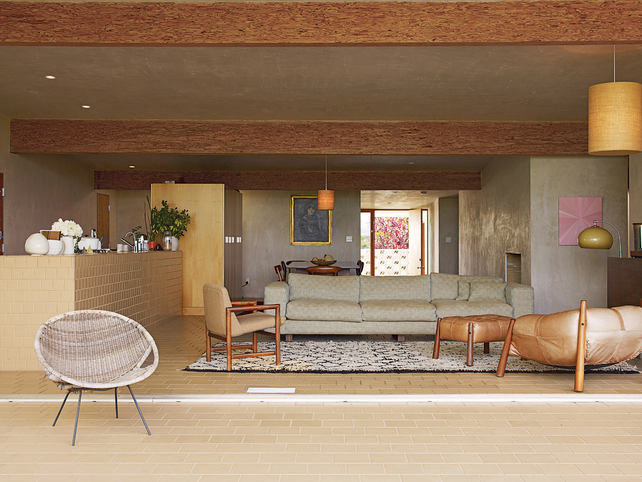 I also love Dwell magazine for it's features on modern architecture, and inspiring design. This wonderful open concept room uses warm tones and comfortable vintage furniture. It exudes a bit of a 1950's vibe, but updated. I spot a few classics in these photos like the Arne Jacobsen Swan chair in brown leather in the top photo, and these simple dining chairs, also of Arne Jacobsen design. 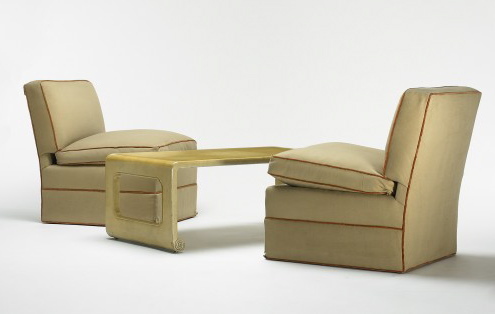 Wright Auctions in Chicago is a 'go to' auction house for modern designs. They have a Mass Modern auction 9 July. These auctions are generally filled with accessibly priced pieces that will give you that modern vibe. Furnish your living room now! 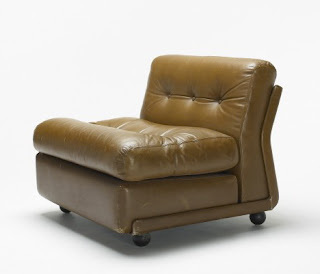 You could just sink in to this leather chair! 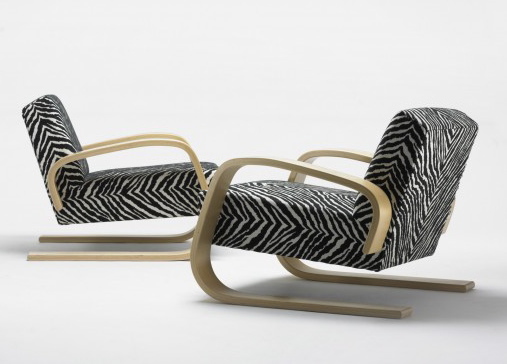 It was designed by Mario Bellini for B&B Italia in 1966, and is called the Amanta lounge chair. This is included in the Wright auction (Lot 149) with an auction estimate of $500 - $700. I think many modern coffee table lack pizzazz, but this one bucks the trend. 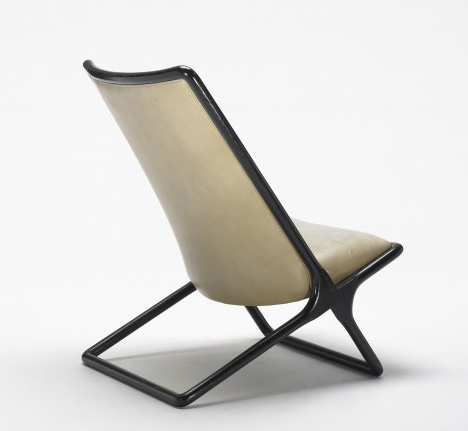 This is French circa 1950, and was designed by Roger Capron. It's made of glazed earthenware and steel, and measures 38 inches long. This is Lot 169, and has an auction estimate of $900 - $1,200. This chair has real style! There is something simple in the cream leather and lacquered wood materials, but with a fabulous design shape. This is Lot 152, and was designed by Ward Bennett for Brickel Associates, circa 1970. This has an auction estimate of $1,000 - $1,500. This lot has to be the bargain of the auction if it goes for the estimate range of $200 - $300. The set is described as 'attributed to Paul Frankl, USA 1948 (Lot 218). I suspect that the 'attributed' means it's not, so therefore the low estimate. Forget the attribution! This is a stylish set of chairs and coffee table. I love the beige upholstery with the contrast piping. I realize that I haven't used anything Scandinavian yet, and that was my lead off to this blog. These make it up! They are a Alvar Aalto (Finland) design circa 1936, manufactured by Design Artek in Finland in 2005. These exude modern, and paired with a white sofa make a great living room design. These are Lot 108, and have an auction estimate of $3,000 - $5,000. 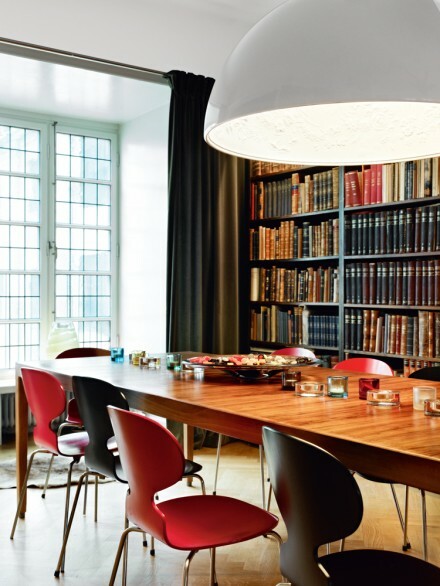 Finally, the Arne Jacobsen chairs come up at auction frequently. If you're looking for some, do a little research first on past sale prices to get an idea of what to bid. This set of eight model 3107 chairs sold at a Christie's auction for $2,000. 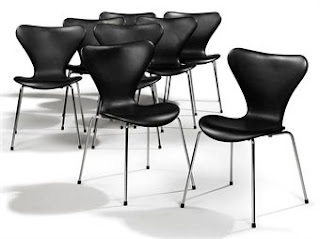 They are a 1955 design produced by Fritz Hansen in the 1990's. They are in black leather upholstery. 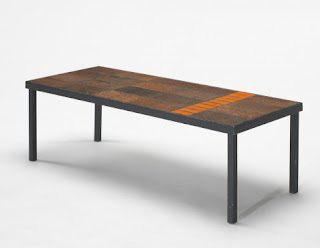 Modern design is everywhere at auction. Find something to add a modern vibe to your decor!